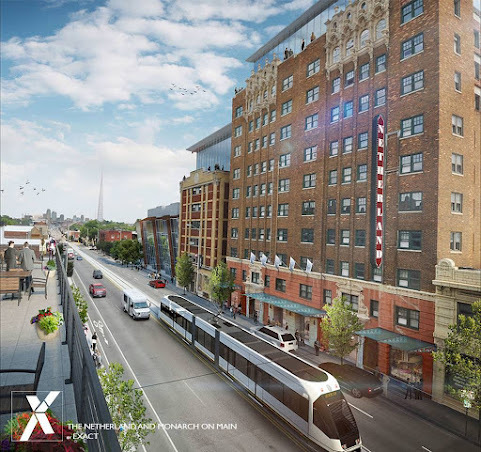 Tony's Kansas City: KANSAS CITY TOY TRAIN STREETCAR BLIGHT STUDY DEVELOPS PLAN TO REMOVE PO'FOLK FROM MIDTOWN!!! 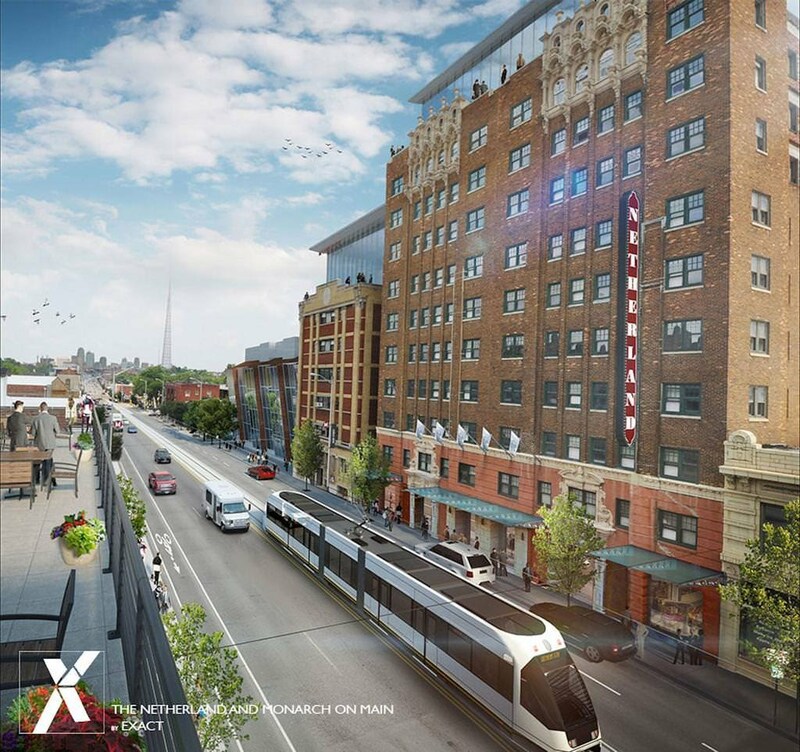 KANSAS CITY TOY TRAIN STREETCAR BLIGHT STUDY DEVELOPS PLAN TO REMOVE PO'FOLK FROM MIDTOWN!!! Good luck to developers looking to transform this part of town that's been rough since 70s. More likely, a few naive hipsters are going to find themselves confronting real danger by mistakenly thinking they can walk around at night in this part of town without packing heat. As the streetcar's path toward expansion into Midtown solidifies, an area incentive organization is looking for ways to ensure affordable housing is part of the city's next development boom. Kansas City's Planned Industrial Expansion Authority presented a preliminary plan to create a proactive Midtown affordable housing area at its meeting last week. PIEA Executive Director David Macoubrie presented the plan, which he said the organization has been working on as a way to get ahead of the streetcar extension, which likely will lead to an increase in development in the area similar to when the streetcar was built in the Crossroads Arts District. Although the area that would fall under the plan has not been finalized, it would run roughly along Main Street from 31st for 43rd streets. Setting up a proactive plan for a large swath of Midtown along the streetcar line allows for ease of development with specific projects. By creating an area plan, it allows the PIEA to do a blight study and create a general development plan for the area ahead of a developer showing interest. Doing so ahead of time saves developers money on the blight study and months' worth of time, allowing projects to start earlier and be more appealing to developers . . . IT'S A TRAP!!! THE DEVELOPMENT PLAN IS THE OPPOSITE OF AFFORDABLE HOUSING AND HOPES TO PUSH ALL OF THE PO'FOLK AWAY FROM THE MAIN STREET CORRIDOR!!! IT'S A LAND GRAB!!! How do we know this??? BECAUSE PIEA HASN'T EVER DONE ANYTHING BUT SERVE AS A TOOL FOR DEVELOPERS!!! This is not all doom and gloom. Those who don't get carried away by hype might have a pretty great opportunity to fleece greedy and increasingly desperate developers. Meanwhile, there's a naive hope that the growing number of Kansas Cioty hobos who dominate this area will move along from this swath of land given the upscale development . . . Sadly, that hasn't happened anywhere else in Western Civilization. That was always sLIE’s mission to rid the city of poor people, it’s really not a bad plan actually. No poor people, no crime! I’m all for it! Ahhhh, that’s why bLIEron lives in Virginia! To effing stupid and poor to live here! Hahahahaha! Two years ago CFRG predicted GENTRIFICATION would come to this area. Rising property taxes and CID taxes will drive the poorer folks out of their homes and into the street. How sad to see this waste on an archaic, outdated mode of transportation. At $100,000,000 per mile this is a huge waste of taxpayers money. Well my friend already is selling his house and will be moving to Kansas because of all the tax increases. Only problem is Those poor people will have HUD help them find a home next to you . So voters say they want a better government yet State Senate over riders voters. More of the Slie agenda of ridding the downtown area and now mid town of blight and pushing it out to the burbs. On top of this the KC rent agenda group, made up of hipsters who majored in gender studies, thinks they can influence city hall to force developers to build affordable housing downtown. They do not have enough money to buy off the developers. The Planned Industrial Expansion Authority (PIEA) offers incentives to encourage investment to remove blight and blighting conditions within PIEA planning areas. Can we get Shake Shack to expand at 31st and Main! Meanwhile, there's a naive hope that the growing number of Kansas City hobos who dominate this area will move along from this swath of land given the upscale development . . . Sadly, that hasn't happened anywhere else in Western Civilization. FALSE, it happens all the time. Cabrina Green in Chicago is a latest example. So what do you want? Leave it the way it has been forever, wasteland? This is a big mess waiting to happen. With folks who care nothing about the cash because it is to their crony interests. First it costs too much, second, there are better options, third, it may well turn into a mess. Think not, ride the Metro about 20 days in a row from 4-12 and then tell me everything is going to be seamless progress. See this going to court. Wondering how well the silly li'l nostalgia train can make it up that steep ascent from Union station up to midtown. Seems like it can barely handle the easy grade of main Street from river market to the crest at about 11th. And the hill along 3rd from grand to Delaware really slows it down. Also, why is the slow toy train along main better than the max bus or the old #56 route before it? Hundreds of millions of dollars thrown at our bus system would make a real difference in actual transit. I'd be for the toy train expanded route if it was paid for by a big fat federal check but this is just sucking money out of local pockets and will cannibalize bus service. The Streetcar is the Troost dividing line of mass transit. White people in Kansas City think they need a streetcar and that the bus is for people of color. They are idiots, but it's the truth. Good. See you guys at the KC Streetcar groundbreaking. Good. See you guys at the Hillary Clinton swearing in ceremony. Hey, Trumpkin. You should build the wall using Hillary’s emails since NOBODY seems to get over those.